found this on flickr. not sure how to feel about this. The look on his face is priceless. Though it would creep me out if I saw it at night for sure. 576 Broadway, Schenectady, NY, United States. 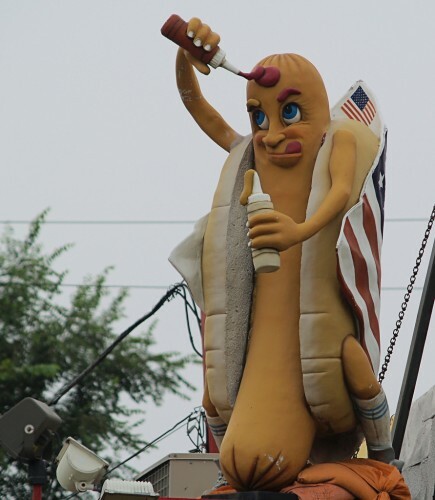 google maps that, there’s the same hotdog on the left, and a cone of fries on the right.